Currently Cloud Of Hope is in the studio recording a 17 song worship CD. Many favorites by known and unknown artists along with 2 original songs entitled "A New Creation " and a 6:22 minute electric blues called "Trust Me". The tracks are turning out very well and I'm sure you will have some that are special to you. We hope to have the CD released early in 2006. During the Christmas season we changed our set and played a Christmas set at various locations that turned out to be a blessing. There are so many cool songs that honor Christ that it was hard to pick a set list but we finally settled on 19. We are adding some new tunes to the set and also some new originals to bring in the new year. 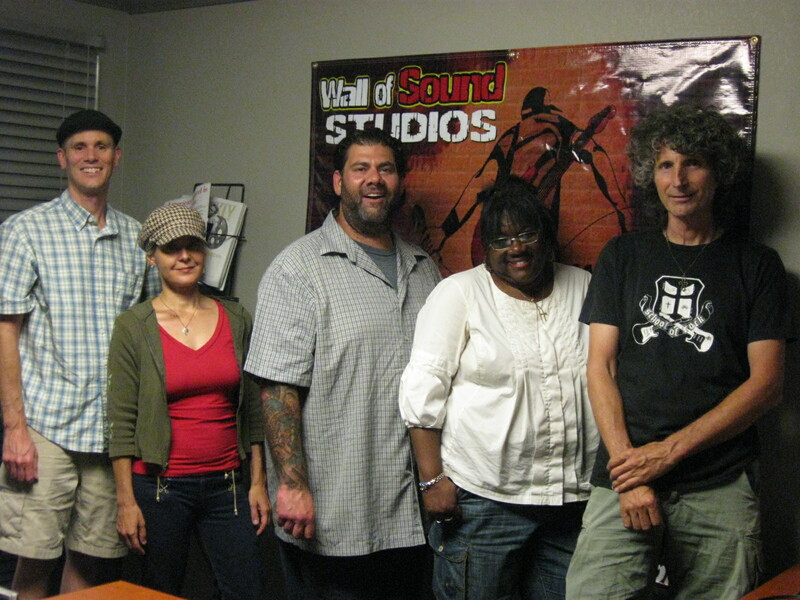 Currently Cloud Of Hope is in Tracy G's studio recording a 20 song worship CD. Many favorites by known and unknown artists along with 2 original songs entitled "A New Creation " and a 6:22 minute electric blues called "Trust Me". Half of the tracks are acoustic and the other half have electric guitars on them. The tracks are turning out very well and I'm sure you will have some that are special to you. The next step is to take it to a mastering lab. We are talking to gifted artist Richard Vela for the cover and sleeve design. We hope to have the CD released in mid 2006. During the Christmas season we changed our set and played a Christmas set at various locations that turned out to be a blessing. There are so many cool songs that honor Christ that it was hard to pick a set list but we finally settled on 19. Maybe a Christmas CD will come in time. We are adding some new tunes to the current set and also some new originals. With variety of abilities within the band we are not only playing mellow acoustic but also heavy blues, electric rock and some cool early hymns with Cloud Of Hope influences. Interesting things are happening within the band members lives so your prayers are always appreciated. A busy but fruitful month will be had in April as the band heads to Catalina Island leading worship on the 1st, playing an electric blues set on the 21st at Angel City and then leading worship at Los Alamitos Calvary Chapel on the 29th. And add to this Sunday nights at Natales in Santa Ana. T Shirts are currently available and next up is the release of the CD in two formats. The art changes were the last step and now after months it seems that is ready. Response for the CD to be in an acoustic and rock format via splittng the Raising Praise CD into two has now been completed and an official record release shall come. Also at the Angel City event there shall be the debut of new songs written for the event and a future blues CD.